It has already been a long hot summer here in the Pacific Northwest. And it isn’t even August yet. June and July have been far too sticky and sweltering for this mild-weathered girl. Thankfully, I recently returned from an Alaskan cruise. Blissful 50 degree breezes blowing across the deck of our ship were the perfect relief from sweaty summer days. We saw gorgeous glaciers bigger than you can imagine. 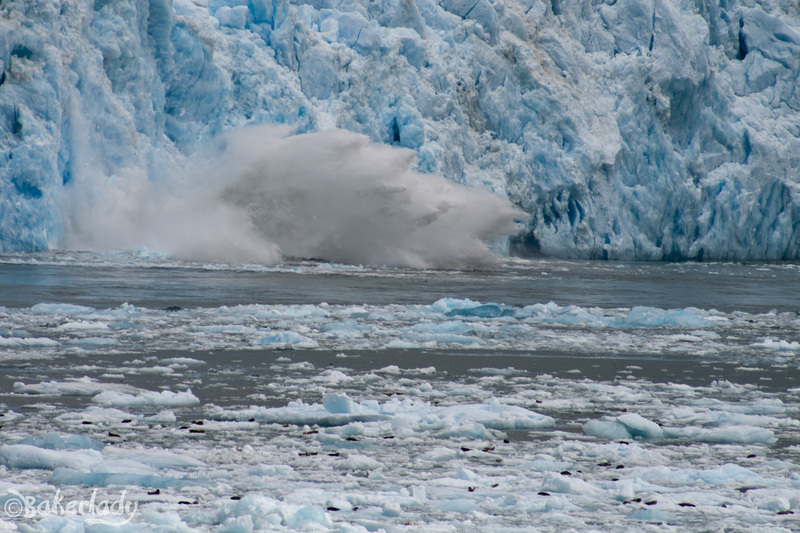 Giant chunks of ethereal blue ice creating tidal waves of force as they fell off. The little dots in the foreground of this picture are harbor seals. One of the highlights of our cruise were the drink cards our travel agent Dana (Dana@aplustravel.com) provided for us. She was incredibly helpful from booking to completion of our cruise and I highly recommend her! I had the opportunity to try some drinks I’d never even heard of before and really enjoyed one called a Snow Bear. It was cool and light – the perfect thing to put a chill in the summer air. It tastes a little like an Mounds candy bar. 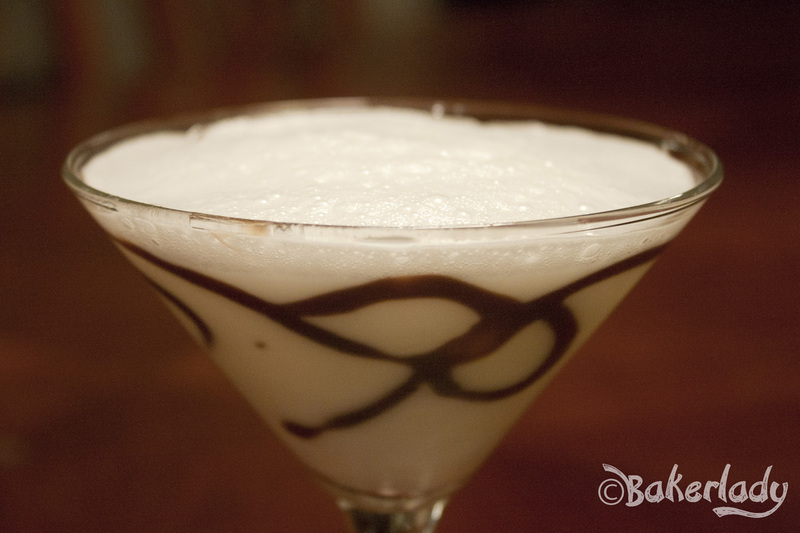 Full of refreshing coconut, milk and rich chocolate. 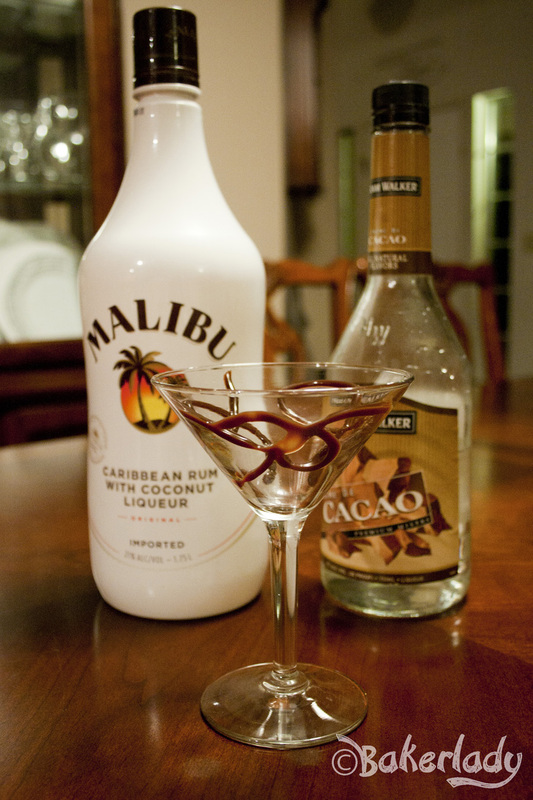 You start by drawing a little chocolate swirl on your glass and getting out some Malibu, Creme de Cacao and milk. Fill a shaker with ice, add your liquors and milk and then shake until chilled and frothy. Then pour into your prepared chocolate-y glass. 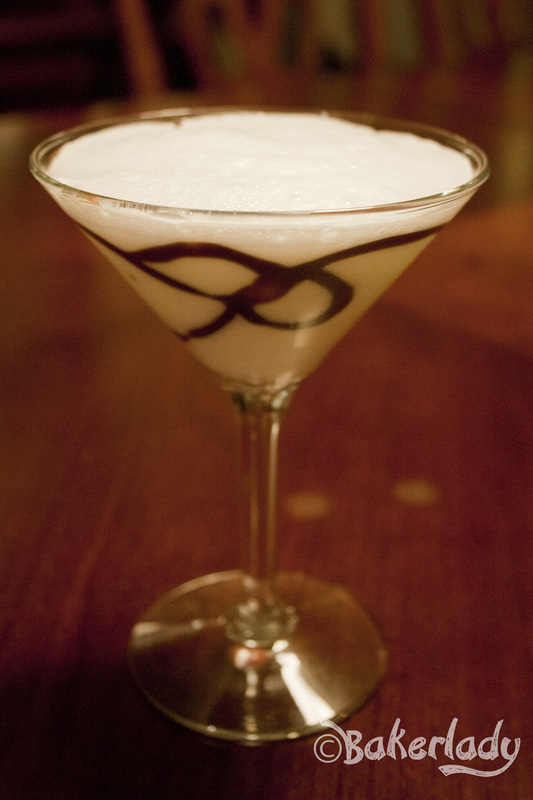 Top off your glass with all the light milky foam, then enjoy this delightfully refreshing glass of “milk”. A little bit of childhood, plus a lot of brisk Alaskan goodness makes this a great cool-down on a sweltering summer night. Enjoy! 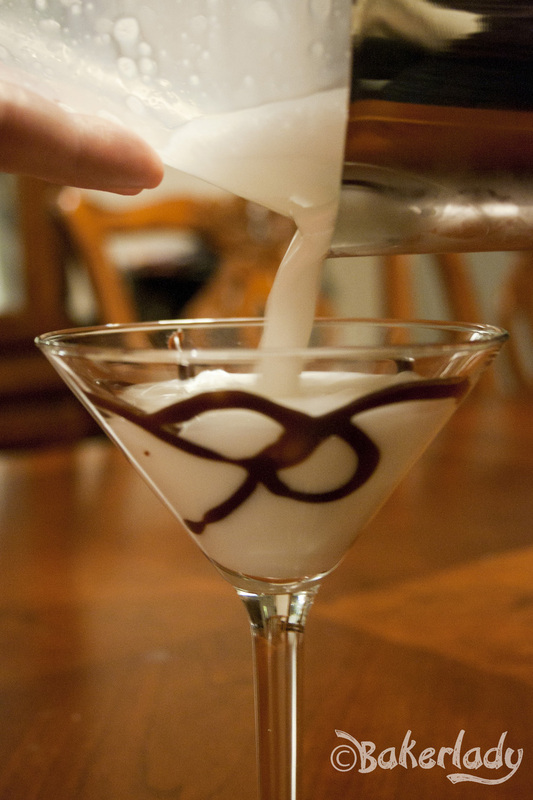 Decorate martini glass with chocolate swirl. Fill shaker with ice. Pour all ingredients over ice and shake until frothy. Pour into glass. Top with foam from shaker.